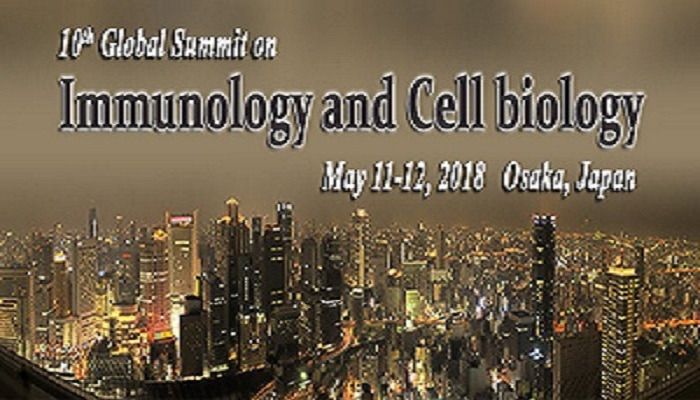 We invite all the participants around the globe to 10th global Meeting on Immunology and cell biology Conference scheduled during May 11-12, 2018 at Osaka, Japan which includes prompt keynote presentations, Oral talks, Poster presentations and Exhibitions. Immunology & Cell biology meeting is to bring together leading academic Scientists, Researchers, Professors, Business delegates, talented student communities and research scholars to commerce and share their experiences and research conclusion about Immunology. We are pleased to inform you that Speaker, Delegate, Exhibitor and sponsorship opportunities are available at the event for the interested organizations / students. We appreciate your time and look forward to hearing from you soon.